Come and join the Newman University Men’s Soccer Excellence Day Camp. It is a 3-day soccer training program for boys, 12 to 19 years of age. It will run from June 19 to June 21 at the Newman University campus. Additionally, the is ideal for those players who dream of playing at the collegiate level. The training program’s design will replicate a college-level training and competition atmosphere. Participants will be able to develop both their technical and tactical abilities. Players will be in groups according to age and skill level. In essence, the training will be challenging but rewarding and enjoyable. It will start at 9:00 AM and end at 12:00 PM. Newman University, originally Sacred Heart Junior College, is a private, coeducational, nonprofit, Catholic, liberal arts university in Wichita, Kansas. Its name is in honor of John Henry Cardinal Newman, a notable 19th-century Catholic cardinal. The university is an affiliation of the Adorers of the Blood of Christ. It is also part of the Association of Catholic Colleges and Universities and the Council of Independent Colleges. Furthermore, Newman University as a whole has an accreditation from the North Central Association of Colleges and Secondary Schools. It is using a semester-based academic calendar and is currently serving around 2,800 undergraduate students. This undergraduate student population is with a 38 percent male and 62 percent female gender distribution. 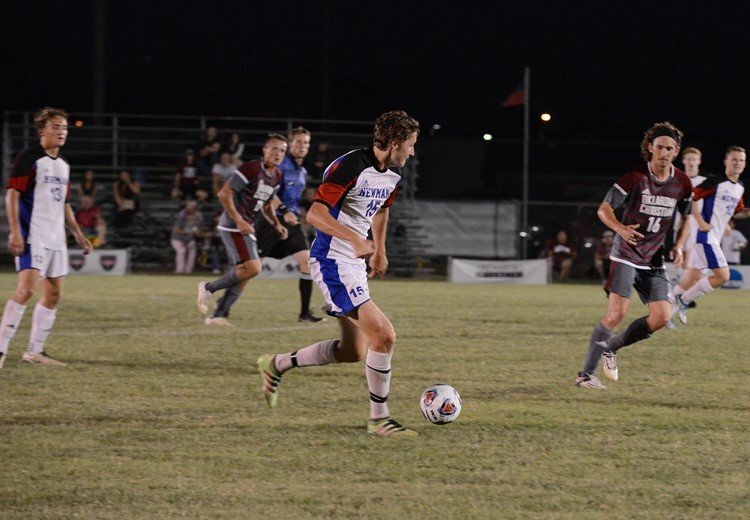 Moreover, the Newman University sports teams are competing in the Heartland Conference of NCAA Division II. They are the Jets and blue and red are their identity colors. Cliff Brown is the Newman University Jets men’s soccer Head Coach. The season is already his 30th year at the helm of the university’s men’s soccer program. Ultimately, Coach Cliff Brown is a 4-time Midlands Collegiate Athletics Conference Coach of the Year awardee. He is also a former soccer player standout. Then, the team’s Student Assistant Coaches are Luca Anelli, Blake Andrews, and Marian Saar. Come and join the Newman University Men's Soccer Excellence Day Camp. It is a 3-day soccer training program for boys, 12 to 19 years of age.